The Day of the Lord will come like a thief in the night. It will undoubtedly be a terrifying and glorious unexpected sight. At first the nations opposed to God will try and attack to repel God’s intervention. The enemies of God will be scattered and running in confusion. Who will be able to stand on this great and terrible Day? The Final Drama has now come into play. The curtain of this World stage will now be pulled closed. God has already written the next play. The script he knows. A third of mankind will be totally annihilated. But this was all anticipated. For the sake of the elect, God’s direct intervention was prophesised and necessary. On those ominous days, life will be very scary. Once all evil has been defeated. The earth and the environment will be cleansed and recreated. All God’s creatures will live together in unparallel peace and harmony. Men will no longer fear the beasts that roam wild. For they will all become like a playful child. For with God everything is well planned. Evil will be locked away for a thousand years. And God will wipe away all tears. We will have a new purpose and a new spiritual dimension. God will not leave us or let us go with an inadequate pension. A world finally at peace and all wars and hatred will finally cease. A thousand years of unparallel growth and renewal. No longer will nations need to depend on fossil fuels. 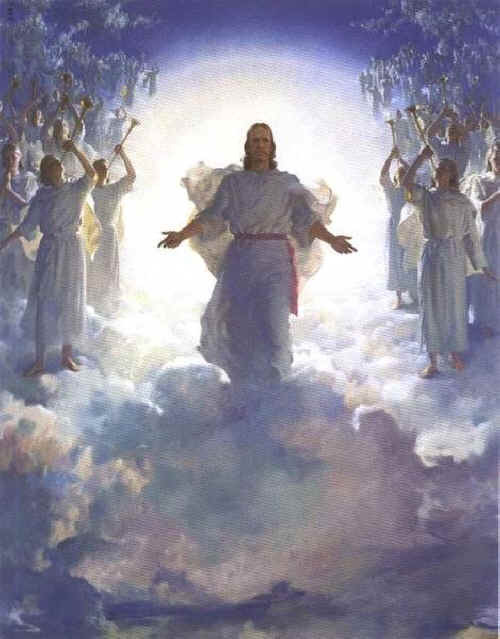 Christ will reign for a thousand years. Men and women can cast adrift all their telling fears. This is the Good news for the Day of the Lord. His total love and providence we could never afford. The ship in the harbour of God is safely moored. The Day of the Lord is a day that cannot be ignored.